We are so happy to have our very special Zulu de Pluum WEF going to Cristy and Will! We know that Cristy will make Zulu so very as happy…and vice-versa of course! Zulu has been such a wonderful part of our lives here at WEF. Always making us laugh with his antics and of course, his big pink tongue which he loves to have pulled on! We will them all a very happy life together and hope they will someday come back to visit for a trail ride! Zulu de Pluum WEF is the son of our IFSHA World Champion Friesian Stallion & USDF Dressage “Horse of the Year,” Wyn de Pluum v.V. 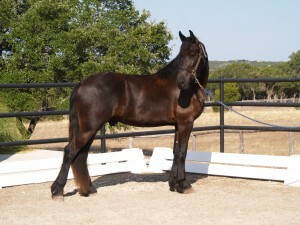 His Dam is Holly vom Lindenbaum, a 1st Premium Model Mare with a loving and very willing temperament. In 2000, she passed the Mare Performance Test with high scores in both Dressage and Driving. 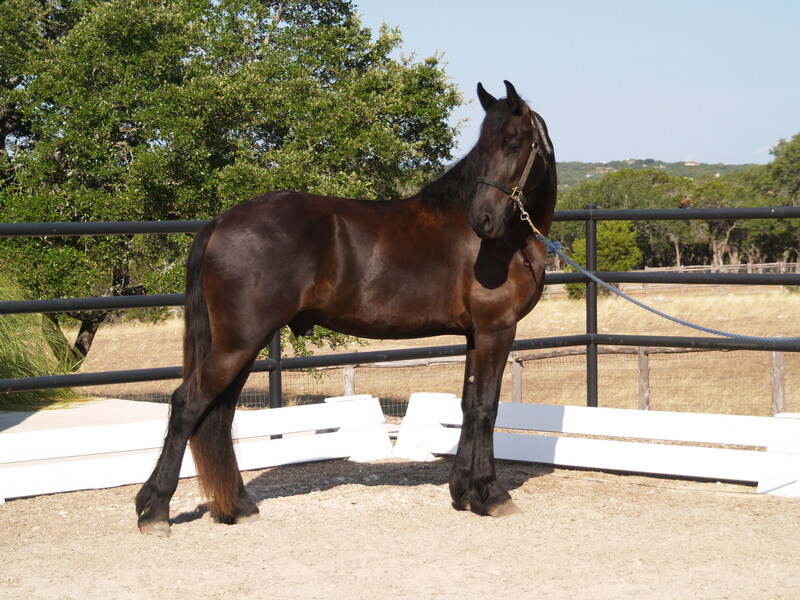 Zulu is a wonderful gelding with tons of personality…and WOW is he growing TALL! He loves people and is very willing to please. He is a really good boy that stands quietly for the farrier, ties, leads, clips and trailer loads. 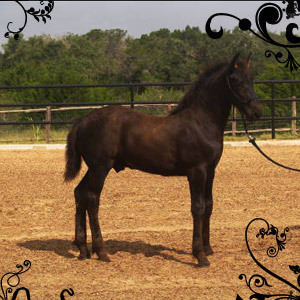 Zulu is maturing into a lean, long-legged athlete and will make a very talented horse in any discipline. His leaner/lighter neck (the reason I chose to geld him) will make him a fantastic performance horse leaving him a much lighter load on the front end to carry than his stallion counterparts! I can’t wait to sit his canter!